LISTEN NOW! Greg, John, and Pat discuss whether it will be either fear or faith, which one will it be? They continue to discuss that what North Korean dictator Kim Jong Un is doing when he is executing Christians in stadiums is to instill fear in the people. That is also happening right now in Iran with Pastor Saeed in prison. The enemy is trying to stir up fear in God’s people. Fear is the opposite of what moves God. Faith moves God. They continue to share what Reverend Kenneth Copeland said in one of his messages when he said that people don’t have a fear of flying what they have is a fear of dying. They continued to discuss three common things most people fear. They have a fear of death, a fear of being harmed, and a fear of loss. They further discuss how no matter what category you put fear in it still boils down to fear. So many people are fighting to stay alive and fear death but they are not doing anything with the life they have. There is no one more secure than the person who has never stepped out. So many people are terrified of losing something. Until you are ready to die for something you are not ready to live for anything. John Bevere says that we serve what we fear. If we fear man we will serve man, if we fear God we will serve God. If we are to come after Jesus we have to deny ourselves pick up our cross and follow him. It will cost us everything to serve him. 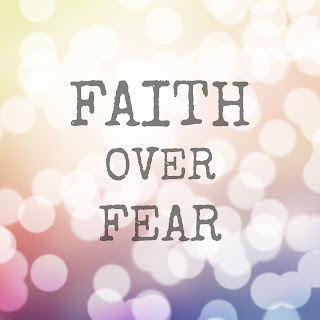 Serve God and not fear, refuse to have an affair with fear.